So the family went out on a little adventure today to shop for costumes, and while we were at the party store, I thought I'd try a few "1st Birthday" hats on Mr. Man to see what he thinks. It was hilarious and so much fun! The first hat I tried on him was WAY too small! 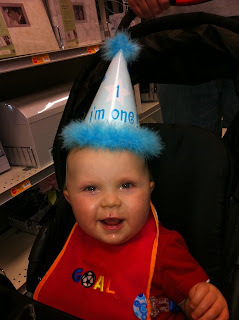 It's a 1st birthday hat. Why wouldn't it fit? He's only 11 months old, but this thing was TINY. 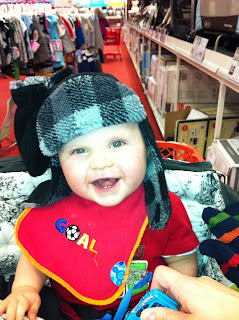 The next hat looked too much like a bonnet. Am I right? This one was just plain funny! 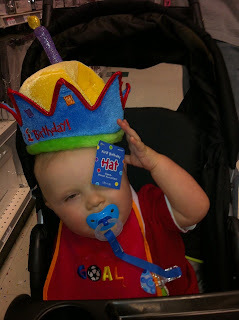 Too bad we didn't buy any crazy 1st birthday hats! 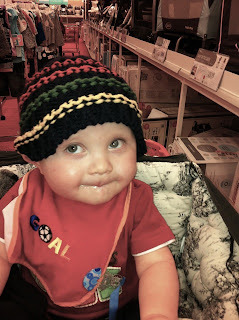 This hat was my absolute favorite, but only came in size 12-18 months. 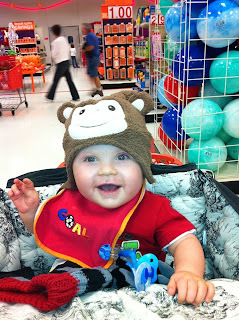 It was the most adorable thing ever, but way too small for his big ol' head. Oh my word, right?! SO cute! I loved this one and it was actually big enough to fit, but it just looked a little much on the lumberjack side for my taste. Ohmygoodness. My NEW favorite picture of Chase of all time! Can you even try to get over that expression?! Gracious. And the hat? Size 2T-5T and barely fit over his noggin. 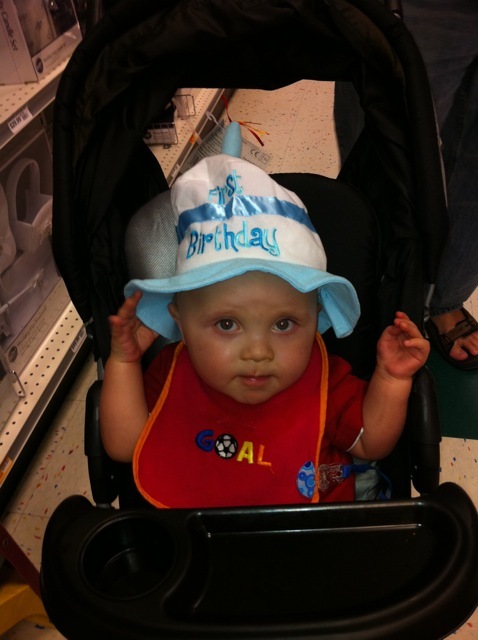 He sure has a lot of brains in there, that boy! By the way, I've had a surprising response to my earlier post and will probably share some follow-up thoughts soon. Stay tuned! And thank you to those of you who reached out to let me know I'm not alone. You are loved!